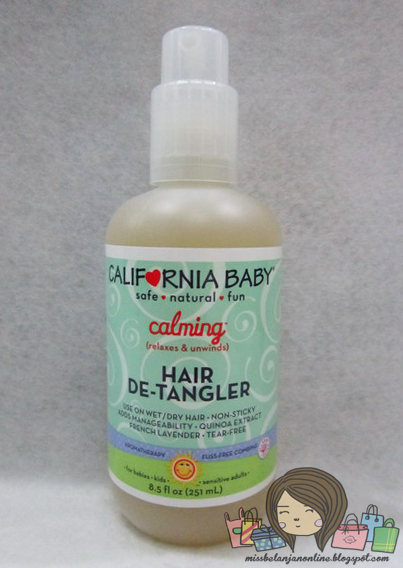 Today I will share my opinion about a product from California Baby. I've mentione a short story about this brand on my giveaway post. But, I will share it again here~ California Baby is a brand from USA they provide various products from skin care, hair care, body care, sun care, etc. Recently, they expand their market into Indonesia. You can check their website to read information about this brand. Herbal emollients and light, fresh aromatherapy essential oils work together to detangle and soften hair. Natural sunscreens of willow and pansy protect baby's hair from the harmful rays of the sun. No-tears formula. For Grownups: Helps to reduce split end damage caused by combing or brushing, and safe for chemically-treated hair. 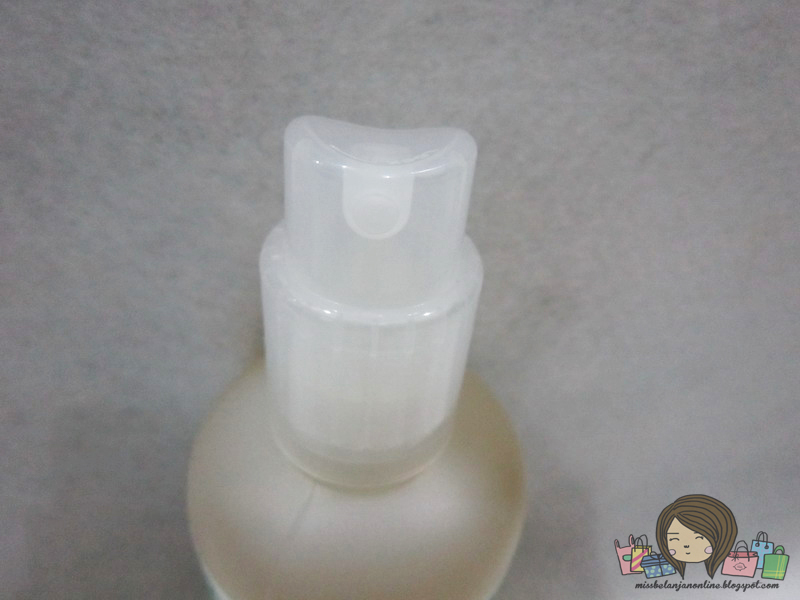 The packaging is a fat plastic bottle with spray applicator. Surprisingly the bottle doesn't has any cap. 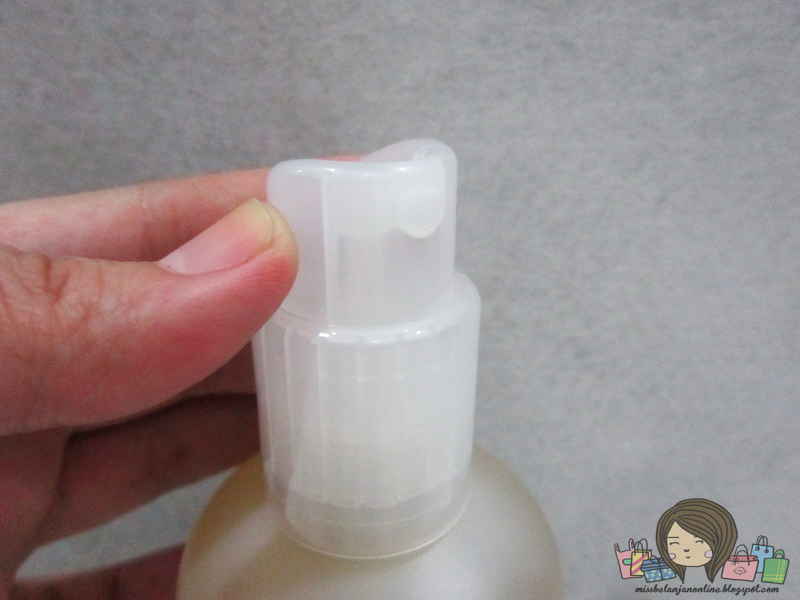 To use it, I need to twist the spray 1 time and it is ready to use. I think the ide about "no cap" is quite unique and useful for me. I often lose my bottle cap when I was in hurry lol. But, if you want to travelling I suggest you pour this product into a small bottle with cap. Because, eventhough it is very secure as long you don't twist the applicator, I still hesitate to bring this in my bag. I'm afraid it will leak because of turbulance when I was travelling. Water, Hydrolyzed quinoa protein, calendula officinalis flower exctract (calendula) [certificated organic], viola tricolor extract (pansy) [certificated organic] ,yucca schidigera extract (yucca), lecithin (sourced from safflower oil), pure essential oils of lavandula angustifolia (French Lavender) and salvia sclarea (clary sage), phytic acid (rice origin), gluconolactone (sourced from corn) and sodium benzoate. I was like "wow" when the first time I saw the ingredients list. There are many good ingredients and mostly are from flowers. No wonder they said it is really safe even for baby. Rather than called this hair mist, I prefer to called this product liquid conditioner, because it works like a conditioner for me. I use this product on my wet and dry hair. On wet hair, I spray this mist after I tpwel dry my hair then let it dry naturally. 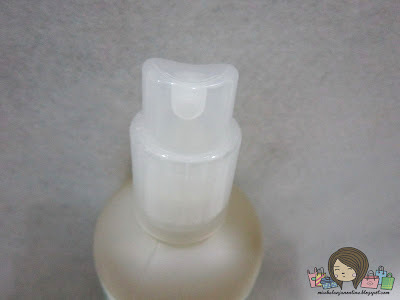 As for the dry hair, usually I spray this mist before I use my hair straightening iron. About the benefits~ I think all the product's claims are true. I like the smell of this mist. It has a nice peppermint scent that makes me feel fresh and cool after I sprayed it on my hair. It is also not sticky and doesn't make my hair feels greasy eventhough I use it twice a day. Quite pricey for a hair mist, but the ingredients are really good, I think that's the reason for the high price. PS: Don't forget to join my giveaway.